Looking to go out for New Years Eve in Columbus for 2018/2019? We’ve compiled nearly 20 options to party the night away until the ball drop (and beyond). In the spirit of “cheap”, there are plenty of free, under $15, and under $25 per person options. We decided to include a few events up to $75 per person, because while that may be a splurge, many of the higher ticket prices typically include some food, drinks, and party favors, and are popular events each year. The cheapest option for a New Year’s Eve celebration would be a gathering with friends and family at a home, with guests bringing food and drink to share. This will save you a lot of money, and may be the most enjoyable and personal option to start the New Year off right. If you’d rather go out, every bar in town will offer some sort of New Year’s Eve fun, as it’s one of the busiest nights in the industry. Check for cover charges before you head out; some may be steeper than you’d expect! Want us to highlight your event or give it a prime spot at the top of this list and on our calendar page? Email me about sponsoring this popular post: ads@columbusonthecheap.com. Noon Year’s Eve with Columbus Moms Blog: SOLD OUT Celebrate with a daytime party at The Little Gym of Polaris on December 31, 2018 from 10:00 a.m.-12:00 p.m. Their gym will be open for climbing, tumbling, swinging, balance beam walking, and general fun-having! Special activities include photos with and an performance by the Snow Queen, and countdown to noon with a soft ball and balloon drop. Tickets are $10 each. Event is now SOLD OUT. Noon Year’s Eve at AHA! A Hands-On Adventure, A Children’s Museum in Lancaster: Open from 10 am – 2 pm. Ring in the New Year with AHA! at New Years at Noon celebration on Monday, December 31st! New Years at Noon allows young children to join in the festivities without missing their bedtime. This event is included with the cost of admission. Admission is $8; free for 12 months and under. First Night Columbus: Annual Family-friendly New Years Eve Celebration from 5:30 pm – midnight. This year First Night will be at COSI and there will be plenty of activities to enjoy inside and out, including movies, high-wire unicycle, musical entertainment, the planetarium, games and fun COSI exhibits, Little Kids Space activities, Holiday Lights Show, live entertainment, and fireworks at Midnight. Purchase your tickets online for $10 through December 30, or $15 at COSI on December 31. All orders of tickets can be picked up at the WILL CALL box office within the main entrance of COSI. Flannagan’s Dublin CHAOS NYE2019 Party: Music by DJ Scott Kunkler & Corey Chaos. Complimentary champagne toast at midnight, plus a complimentary appetizers from 8-10 pm. Doors open at 8 p.m. Ages 21 and over only. Tickets are $15 and can be ordered online. NYE 2018 Black & White Masquerade at Bar Louie Polaris: Bar Louie’s Black and White Masquerade is an ode to Truman Capote’s infamous Grand Masked Ball, hosted in New York in 1966 and we want you to be there. Get ready to ring in 2019 with our champagne toast, party favors, and great friends while you sip on our specialty New Year’s Eve cocktail, the Velvet 19. Silver tickets are $10, Gold tickets are $50. Masquerade masks encouraged. NYE 2018 Black & White Masquerade at Bar Louie Easton: Bar Louie’s Black and White Masquerade is an ode to Truman Capote’s infamous Grand Masked Ball, hosted in New York in 1966 and we want you to be there. Get ready to ring in 2019 with our champagne toast, party favors, and great friends while you sip on our specialty New Year’s Eve cocktail, the Velvet 19. Silver tickets are $10, Gold tickets are $50. Masquerade masks encouraged. Skate Zone 71: Public skate at 12:30 pm, Kids’ New Year Eve with mock countdown 4-7 pm. Skating admission is $12 per person, including skates, unlimited pizza and drink, party favors and more. Family New Years Eve party from 8 pm – 12:30 am; admission is $13 and includes skate rental, unlimited cheese pizza & drink, and noisemakers for the countdown. Dragon Lights Columbus: As part of its New Year’s Eve celebration Dragon Lights Columbus will kick off 2019 by offering FREE admission to the first 19 guests and will host a countdown at 8 pm for kids with a HUGE Panda piñata full of candy and new year wishes. Live, indoor performances are offered nightly. Don’t forget about the Family Four Pack special at the box office between 5:30-6:30 for $45! Hollywood Casino New Year Celebration: You’ll find many ways to enjoy the night at Hollywood Casino on New Years Eve. Head to the H Lounge at 9 pm for a free New Years Eve with a DJ and balloon drop. Watch the ball drop from NYC at midnight. Admission to the casino is free; dining and beverages are additional. There are also several dining options available throughout the casino for New Year Eve and New Years Day from $24.50 – $90 per person. There’s also a splurge NYE party option at the Casino with the Hollywood Casino Under the Sea New Year’s Eve Party for $75 per person (includes buffet and more). Skully’s New Years Eve Dance Party 2019: Featuring DJs Chuckstar & Skulldogg at Skully’s; 21+ and over. Midnight champagne toast and party favors included. Admission is $15 at the door. Tickets can be purchased in advance for $8-$10. New Year’s Eve at The Goat: Celebrate NYE at The Goat locations. Open at 9 pm with no cover, DJ’s, and champagne toast. Select locations are offering ticketed dinner events for $50-$60 from 7-9 pm. Upper Echelon, New Year’s Eve Party by The Alchemist: BYOB event is held at Art of Republic, 34 West 5th Avenue. Admission is $10-$15. Sounds by DJ Beezz. BYOB! WNCI New Years Eve Party at BBR: Join Chris Davis for the Official WNCI New Year’s Eve Party starting at 7 pm at BBR with WNCI giveaways, small hor devours between 8 and 10, party favors, and balloon drop at midnight and complimentary midnight toast. Pre-sale tickets are $10 and VIP packages are available – event sells out each year! Text Josh at 614.989.8258 or email josh@livepeerless.com for VIP table details. Drinks and food available for purchase. Tequila Cowboy New Years Eve Bash featuring Jamie Baxter: Enjoy a champagne toast at midnight while Jamie Baxter keeps the party going with a live performance of your favorite country jams. Tickets are $20 each. Arrive early for a complete buffet of your favorite entrees for an additional cost! Granero Lounge New Years Eve Party: Granero Lounge and nightclub on with DJ Papi Juan and DJ Luig spinning top 40 and best Latin music in the city and hosted by Huggs. Tickets start at $20. The Big Bang Dueling Piano Bar: New Years Eve Party: 7 p.m. – 2 a.m. Tables from 7-8:30 p.m. are available for cocktail reception. The evening will continue with an all-request Dueling Pianos show that will have you singing, laughing and dancing all night long. Tickets start at $25 for general admission at 8 p.m. if space permits for those in line (no seat guaranteed for general admission), and prices for other services go up from there and include guaranteed admission with no wait in line for $50. AMF Sawmill New Year’s Eve Bowling Parties: Two options for celebrating at the lanes; Daytime Family Party Package with bowling, kid-friendly buffet, and toasts (available New Years Eve and New Years Day) for $23.99 per person, and a Nighttime Ball Drop Package with 4 hours of bowling, large buffet, and toasts starting on 9 pm on New Years Eve for $44.99 per person. Available at AMF Sawmill Lanes and AMF Stardust Lanes. Eldorado Gaming Scioto Downs NYE Parties: Dance the night away with HOLD ON beginning at 9pm in the Veil Bar or sit in for a set in the High Limits Lounge with Tracy Carter beginning at 10pm. The Brew Brothers welcomes local party band Junkbox at 10pm with a $25 cover charge, including light snacks, drink tickets and a champagne toast – purchase tickets on location beginning 12/1. New Years Eve dining options are available here. Dave & Busters Hilliard Family New Years Eve Celebrations: Two family-friendly options from 3-6 pm or 7-10 pm. Packages are $29-$37 and include an appetizer buffet, Dessert, Unlimited soft drinks, loaded power card and video play option, video ball drop to ring in the New Year. Dave & Busters Polaris Family New Years Eve Celebration: Family-friendly option from 5-9 pm. Packages are $34-$42 and include an appetizer buffet, Dessert, Unlimited soft drinks, loaded power card and video play option, video ball drop to ring in the New Year. The New Year’s Eve contest will be capped off with a postgame indoor firework show. All fans are invited to purchase the Dispatch Family Value Pack, starting at $30 per person. In addition to the usual package that includes a game ticket, hot dog, Pepsi, popcorn and OhioHealth Ice Haus skating pass, the New Year’s Eve game package comes with access to a pregame skate from 4-6 p.m. in the OhioHealth Ice Haus. To purchase, visit BlueJackets.com/NewYears. NYE 2019 @ MONARCH: Monarch Restaurant & Cocktail Bar’s first New Year’s Eve Bash.General Admission tickets start at $30 and get you admission, 4 top shelf cocktails, party favors, complimentary midnight toast and complimentary continental breakfast at 2am. Hollywood Casino Under the Sea New Year’s Eve Party: Enjoy an exclusive Under the Sea New Year’s Eve Party. Tickets are $75 per person and include the Midnight Balloon Drop, an excellent buffet, a reserved seat for the night’s festivities, dancing with 17th Floor and more. Copious New Year’s Eve Jazz Dinner & Loft Party: 3-level event including music by Bobby Floyd, Omni-tet and The Deal Breakers. General admission also includes a whisk(e)y tour, wine tasting, art show and VIP table giveaways. Tickets start at $50. New Year’s Eve at The Goat: Celebrate NYE at one of the 3 The Goat locations (New Albany, Riversouth, and Hilliard). Tickets are from $50-$60 and include dinner, welcome drink, midnight toast, music, favors, and more. Dublin and Gahanna locations are having parties with no cover, DJ’s, and champagne toast. The dinner event runs from 7-9 pm, and the doors open to the public at 9 pm with no cover. Camelot Cellars Harry Potter Yule Ball NYE Masquerade: Enjoy a costume masquerade ball starting at 9 pm. Doors open at 9 p.m. Dress in your Hogwarts finest (are you Gryffindor, Slytherin, Ravenclaw or Hufflepuff?) – masks are required to enter! Your ticket includes live music by D&M DJ Entertainment, hors d’oeuvres and desserts for you to enjoy, signature drink: butterbeer, and Jennifer Lopez, psychic, will be on hand for divine sessions – plus a champagne toast at midnight! Tickets are $60 and always sell out! New Years Eve at La Scala: Parties in the Venetian and the Caruso featuring different entertainment. Reservations start at 7:30 pm, 4 course dinner begins at 8 pm, live music at 9 pm. $75 per person, including champagne toast. Park Street Tavern New Years 2018 Bash: All Inclusive party with drinks, delicious tapas, champagne toast, party favors, and 3 sets of Willie Nelson Mandela to dance the night away. Tickets are $75. New Year’s Eve at VASO, Dublin: Ring in the New Year at Dublin’s hottest rooftop bar, VASO, with hand crafted cocktails and tapas, offering the best view that the city has to offer. Live entertainment from The Whiskey Business from 6:00PM to 10:00PM and DJ AXCESS from 10:00PM to 2:00AM. Standing Room ticket costs $50 and includes two (2) drinks ($15 maximum per drink) Taxes and gratuity are not included. Table Admission tickets start at $250 for 2, and will be applied as a credit towards your total bill, 20% gratuity will be add it to the check, Taxes are not included. New Year’s Eve Bash at Hubbard Grille: DJ Pastel will have the crowd on its feet with drink specials featured by Ultimat Vodka & Patrón & Pyrat Rum, 2 drink tickets, champagne toast, and bar snacks included in $45 ticket. VIP table reservations available. Black & White New Year’s Eve Weekend Celebration at Embassy Suites | Columbus-Airport: Party the night away from 7 pm – 3 am at the largest 30 & up NYE Celebration in the Midwest for mature urban professionals and entrepreneurs. General admission is $50 per person includes reduced room rate, party favors and photo booth; VIP options available. There are other celebrations on December 30 and 31 and January 1, including All White Dancers Jam ($20), 80’s and 90’s Day Party ($20), and Morning After Workout ($7) . Find all of the details here. NYE in Downtown Lancaster: Join us at The Mill Event Center to celebrate the New Year! Columbus renowned band, Popgun returns to Lancaster for an encore performance after their debut at the 2018 BrewFest. Enjoy heavy hors d’oeuvres and a champagne toast at midnight while celebrating the new year with your friends and family both old and new. You won’t want to miss the very first Destination Downtown Lancaster New Years Eve Celebration. Tickets are $50. Bollywood New Year’s Eve at Hilton Columbus/Polaris: (family friendly): Enjoy an exclusive Bollywood New Year’s Eve like none other in Columbus. Celebrate in dramatic style and immerse yourself in luxury as you ring in the new year. Feel like a star as you step on our dazzling red carpet where our very own paparazzi captures your fashionable arrival. Your ticket gives you access to the biggest Bollywood party in Central Ohio and includes: DJ Mavi spinning the best of Bollywood, Bhangra and top 40, Festive NYE party favors, Live NYE 2019 countdown on multiple screens, Free champagne toast at midnight, A grand multi-course dinner buffet, CASH BAR OPEN ALL NIGHT till 1:30 AM, kids’ entertainment. Tickets are $35-$75 per person, 5 and under are free. Rooms at hotel are additional. Looking to splurge? There are a few events priced at nearly $100 per person, but include more extras in the price, such as food and beverage. BYOB New Years Eve 35 Passenger Private Short North Trolley, Three Legged Mare, Shadowbox Live, and Renaissance Hotel NYE Party fall in this category. I’ll add more events when I come across them, but if you want to go to any of these, buy your tickets now (prices could increase as demand increases). 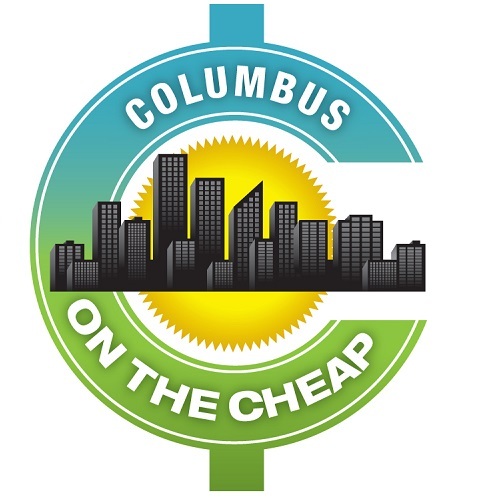 Please comment below, or email info@columbusonthecheap.com if you know of other events that should be included. Events below are from NYE 2018 and have not been verified for 2019 or are already sold out. Not yet being held for 2019 due to remodeling. Irish New Year’s Eve Package at Embassy Suites Dublin: (family-friendly): The Embassy Suites Dublin invites you and your family to enjoy an Irish New Year’s Eve complete with children events, movies, arts and crafts, entertainment (DJ, Irish Dancer’s, and live music), , a kids and adult countdown and more while having a safe stay in a spacious suite. This is a slightly more expensive option because it also includes a hotel stay in a suite, plus breakfast, snacks, and tons of kids activities. Plus late check out will allow the families to take advantage of the pool the next day. Suites start at $229, plus tax.